J'adore Eau de Toilette is a fresh fruity floral. The freshness of flower essences and fruity notes. Top Note - Ylang-Ylang of the Comores: Grown in the Comoros archipelago, fresh Ylang-Ylang flowers are steam distilled to obtain the essence used by perfumers in a number of fragrances. Ylang-Ylang blends well with a variety of floral notes, bringing elegance, volume and originality. Its array of emotions is released as the top note of J'adore. Heart Note - Rose Damask: Originally from Turkey and Bulgaria and a key element in the perfumer's palette, Damask Rose is used for its essence and absolute. It flourishes as the heart note of J'adore. Base Note - Quetsche Plum: The Quetsche is one of the many varieties of plum. It brings a gourmand, velvety, fruity flavor with floral and syrupy accents. Shut your eyes and think of summer. Are you dreaming of a beach day? Fresh-cut flowers? A night under the stars? Yeah, there's a perfume for that! Find yours here. If you love the woods - Craving a camping trip? Look for notes of moss, pine, cedarwood, or sandalwood. Scents of Style - Girly Like Christian Dior: Match this delicious mix of orange blossom and Damascus rose with a sweet baby-doll dress or flouncy skirt. 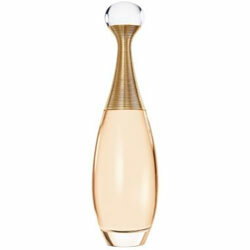 Try: Dior J'adore Eau de Toilette, $65 for 1.7 oz., dior.com.